In November 2013 the Ground-Guards sales team received a call from BAM Plant Head Office. They had a project in Leeds which needed some ground protection – and fast! 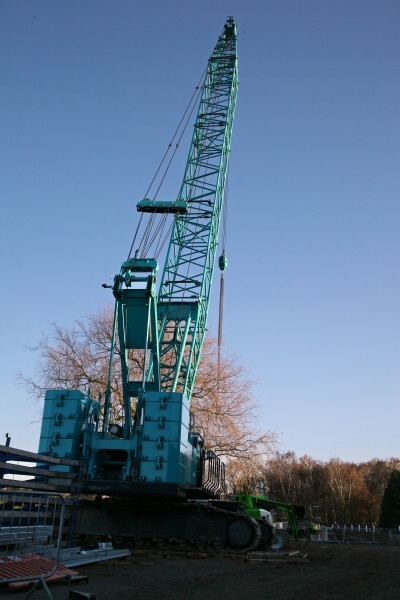 The ground protection was to give stability to a 100 tonne counterbalance crane. The crane with situated on slightly higher ground and was to lift the steels in place for the buildings below. Due to the sheer weight of the crane and the poor ground conditions it was agreed that Ground-Guards Bog-Mats should be used and that they should be laid double thickness. The Site Agent was extremely impressed with the speed of service and depth of stock held by the Ground-Guards team. The Ground-Guards BogMats were loaded onto the delivery lorry and sent down to site – all within 3 hours of receiving the initial phone call from the Head Office! 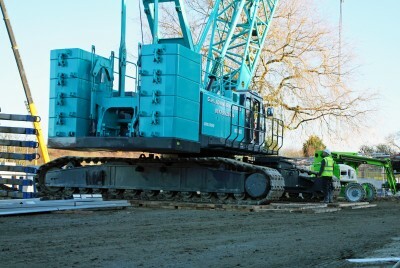 The Site Agent, Head and Safety Office and the Crane Operator were all very impressed with the strength, stability and the protection the Ground-Guards BogMats gave. Another happy customer and a job well done!